Gaming and lottery services and products provider International Game Technology Plc (IGT) beat market expectations for its first quarter 2018 results. IGT on Monday reported that consolidated revenue increased by 5 percent year-on-year to approximately US$1.21 billion in the first three months of 2018, compared to US$1.15 billion in the first quarter of 2017. Revenue growth was “driven by strong global casino systems sales, broad-based momentum in lottery, and Italy sports betting results,” said the firm in a press release. IGT reported operating income of US$197 million for the first three months of 2018, up 65 percent from the prior-year period. Adjusted earnings before interest, taxation, depreciation and amortisation (EBITDA) were US$436 million, up 18 percent compared to US$371 million in the first quarter of 2017. The company said the increase in adjusted EBITDA was due to “higher underlying revenue and profit across all business segments”. The result also included US$15 million from the adoption of new accounting standards, said IGT. “Compelling content and technology solutions are driving our results,” said Marco Sala, chief executive of IGT, in a prepared statement. Net loss attributable to IGT was US$103 million in the first quarter of 2018, compared to US$54.8 million in the prior-year period. The firm said the first-quarter 2018 net loss included US$97 million of net foreign exchange loss; if adjusted, the company would have recorded net income of US$31 million. The company’s board declared a quarterly cash dividend of US$0.20 per share, payable on June 19 to all shareholders of record as of June 5. Brokerage Deutsche Bank Securities Inc said in a Monday note that IGT’s “first-quarter beat is broad based”. “We believe the first quarter 2018 upside should continue the favourable trajectory in the stock as it again reinforces the stability of the lottery business and strength in the gaming segment,” wrote analysts Carlo Santarelli and Danny Valoy. 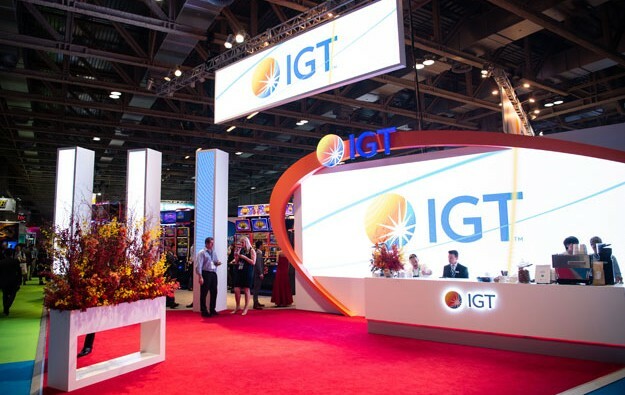 IGT said that aggregate gaming service revenue declined by 13.3 percent year-on-year to US$422 million in the three months ended March 31. Revenue from gaming product sales however rose by 29.4 percent year-on-year to US$141 million, said the firm. The company shipped 5,828 gaming machines worldwide during the first quarter this year, and the global installed base rose to 62,563. Global shipments in the three months to March 31 included a total of 2,112 gaming machine units shipped to places outside North America, compared to 2,009 units in the prior-year period. Product sales revenue for the international segment increased by 37.8 percent year-on-year to US$51 million. The company said that the increase in gaming machine unit shipments included “double-digit growth in replacement units” during the reporting period. The firm said aggregate revenue from the international gaming segment was US$91 million, up 16.7 percent compared to US$78 million in the first quarter of 2017. The company’s guidance for the full year was unchanged. On Monday, IGT’s chief financial officer Alberto Fornaro said the company was “solidly positioned” to achieve its “2018 strategic and financial goals”. “With revenue growing 5 percent and adjusted EBITDA up 18 percent, our first quarter results are some of the best we’ve reported,” he added. IGT’s net debt stood at approximately US$7.53 billion at the end of the first quarter 2018, compared to nearly US$7.32 billion as of December 31, 2017. The firm said the net debt as at March 31, 2018 included US$119 million of negative impact from foreign currency adjustments. In conjunction with the earnings filing, IGT announced also on Monday that the De Agostini SpA, IGT’s majority shareholder, entered into a variable forward transaction with Credit Suisse International relating to 18 million IGT shares. The deal is divided into multiple tranches that are scheduled to mature over a period commencing about four years from May 2018. IGT said in a separate release that it is not a party to the forward transaction and thus is not issuing or selling any IGT ordinary shares. “Despite not issuing any new shares, the transaction will improve [IGT’s] liquidity in the stock as the float will expand,” they added. The gaming supplier said additionally that De Agostini has advised IGT that “they intend to remain IGT’s controlling shareholder”.